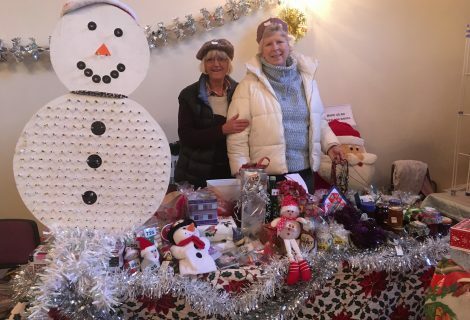 I first became involved with the Uttoxeter Gateway Club twelve years ago after speaking to Ruth and Pauline at the Uttoxeter Christmas Cracker. My son Sam became one of the youngest members at sixteen. My daughter Rosie helped at the club as a volunteer while she was at Thomas Alleyne’s Sixth Form. Six years ago I became the club treasurer. Being a trustee of this club is a privilege and a pleasure. Through the club we, as a family, have forged so many very special friendships and made so many happy memories. I can remember well Sam’s eighteenth birthday at the Heath Community Centre. A sizeable contingent of members attended and that’s when I first understood exactly what partying with the Uttoxeter Gateway Club meant. The members stole the show that night with their singing, dancing and the joy they brought with them. Sam’s family and friends still talk about how wonderful they all were and how they made that evening so special. I still remember, with more than a smile, Rosie’s dance troupe of lady members entertaining us all. Rosie loved her time with the club and is still treated like visiting royalty whenever she is with the members. Over the years it has been a privilege to be invited to and included in so many wonderful events, quiz nights, racing evenings, craft events, discos, parties and one of my particular favourites the Murder Mystery Evening. Who could forget the Barn Dance when the instructions were accidentally broadcast during the church service next door? Any time spent at this club and with the members is always time well spent but my favourite times have been seeing some of the members on Christmas Day wherever they have been for their Christmas lunch and sharing my Fiftieth birthday year with members David and Carole (although of course we don’t look it). Nothing is quite the same as walking into a club night or event and being greeted with such genuine warmth and friendship. If you have ever considered volunteering or becoming a trustee I urge you to get yourself down to The Guild Hall on a Tuesday evening but you might want to take your dancing shoes as you will probably need them sooner rather than later. Nothing is more joyous than an event that involves music or dancing. You won’t be able to resist joining in. We are always looking for volunteers and trustees with new ideas and skills to share with the club. I can assure you that the rewards are very special. I have loved my time as a trustee and the opportunity to contribute to such a special club.